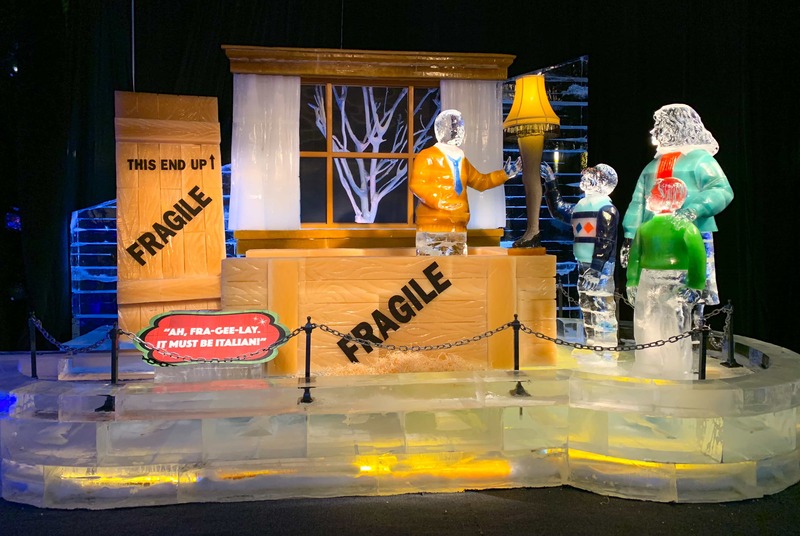 ICE at Gaylord Palms 2018: A Christmas Story! ICE! 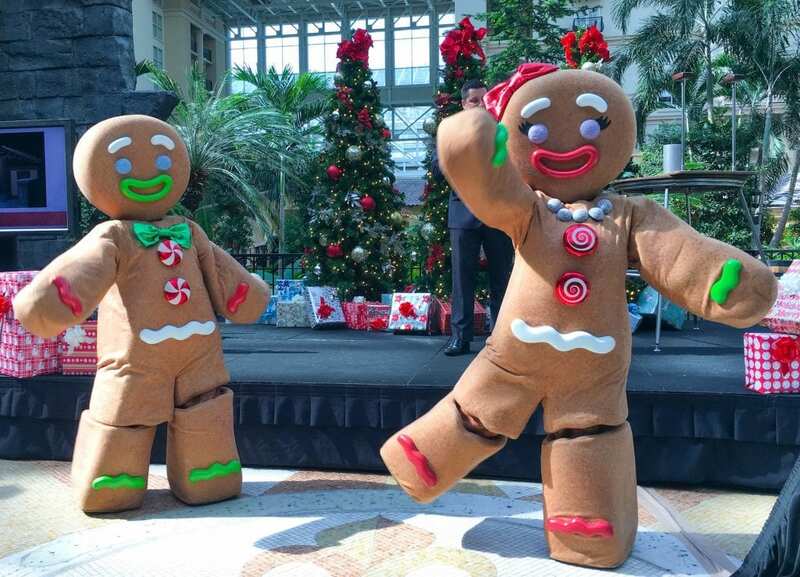 at Gaylord Palms is one of the most anticipated holiday events in Orlando. And the 2018 theme, A Christmas Story, looks better than any year before, in our opinion! 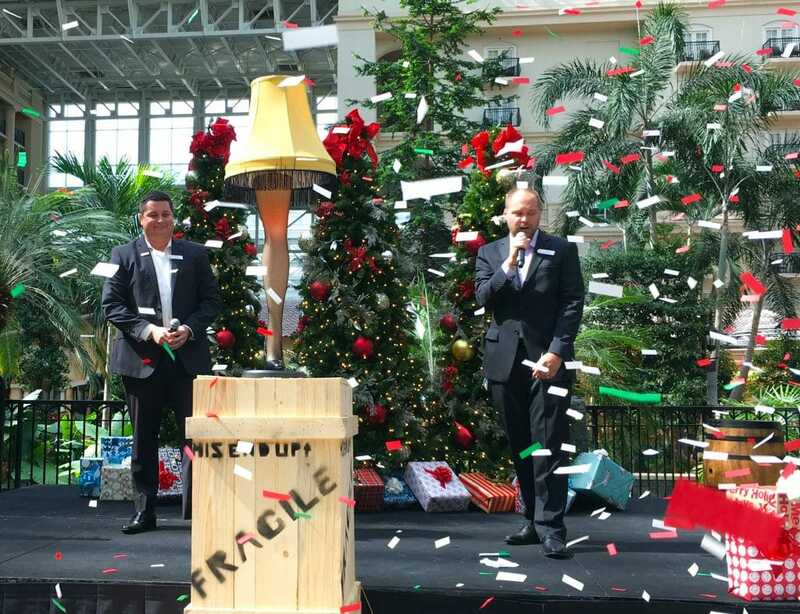 We were thrilled to be there are the grand reveal of ICE! 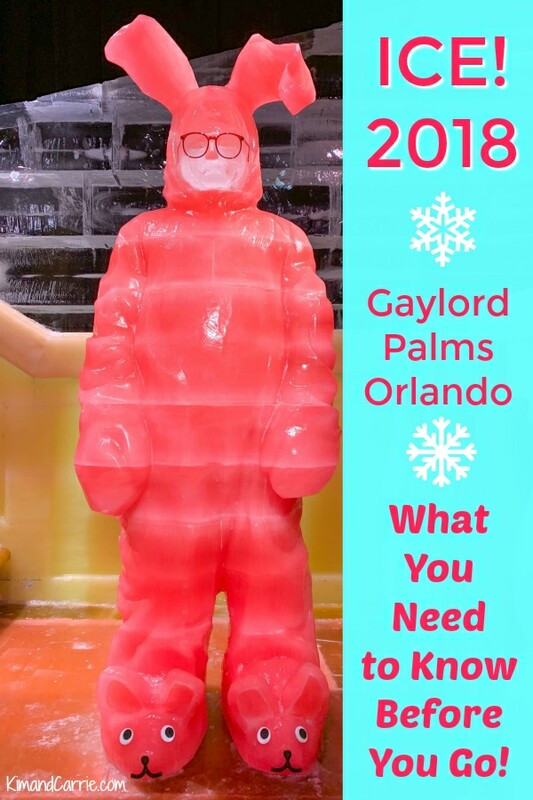 2018 at Gaylord Palms this year. Honestly, this year’s event is so good!!! Here’s what you can expect to see at ICE! P.S. 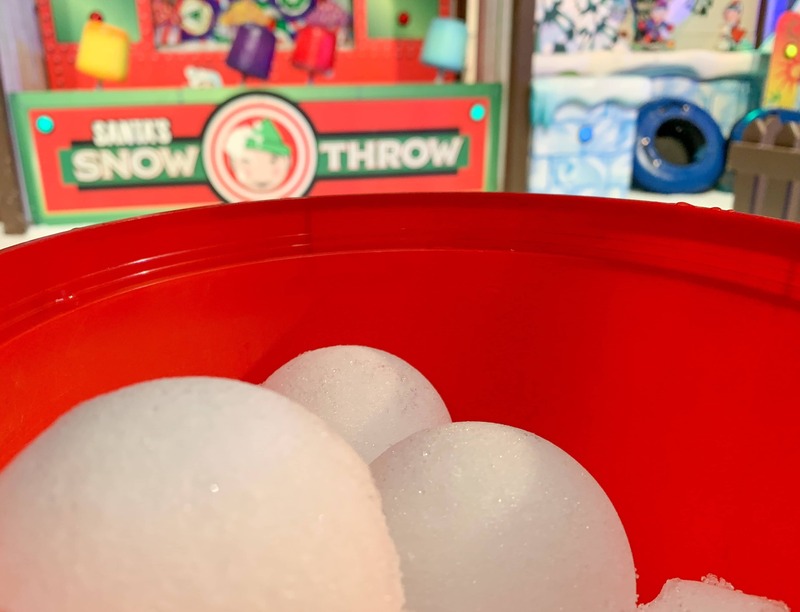 We’ve got photos and videos below of the 2018 ICE! 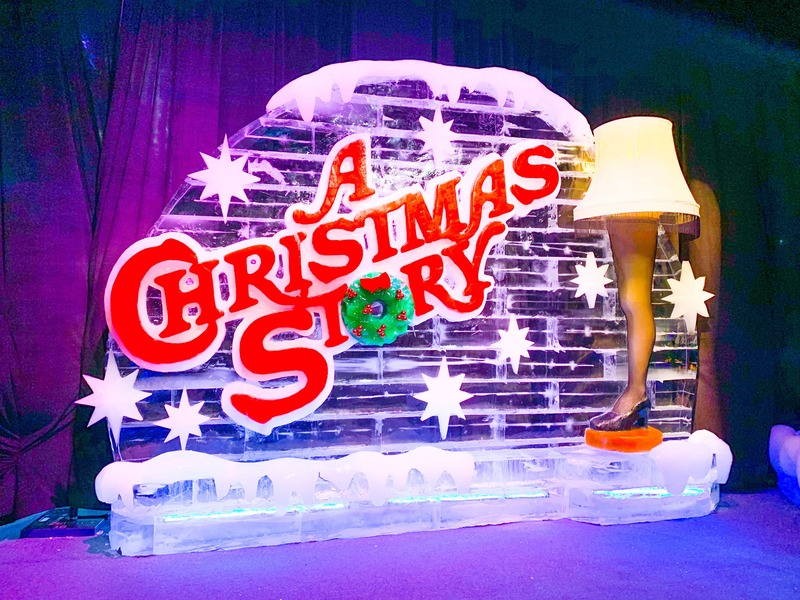 A Christmas Story at Gaylord Palms. Below the current video and images is how the 2018 ICE! 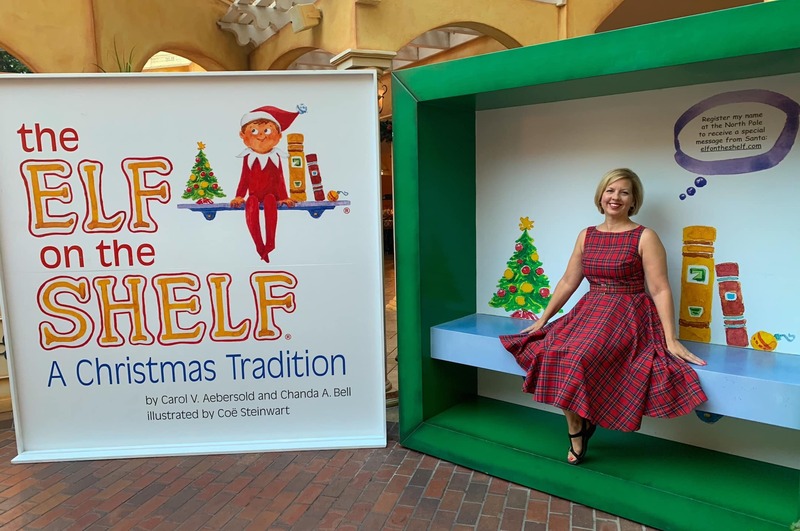 theme was revealed in a festive event in July, plus artist renderings and concepts, and additional photos from the 2018 event. HERE’S OUR VIDEO OF THE ENTIRE WALK THROUGH OF ICE! 2018. ENJOY A VIRTUAL TOUR WITH NEARLY NO ONE IN THE BUILDING AT THE TIME! BE SURE TO CHECK OUT THIS VIDEO WITH OUR ROOM WITH AN EPIC VIEW, WHAT ALPINE VILLAGE LOOKS LIKE, AND THE BALSAM HILL CHRISTMAS TREE TRAIL! We were thrilled to be at the unveiling of the 2018 theme for ICE! at Gaylord Palms today! 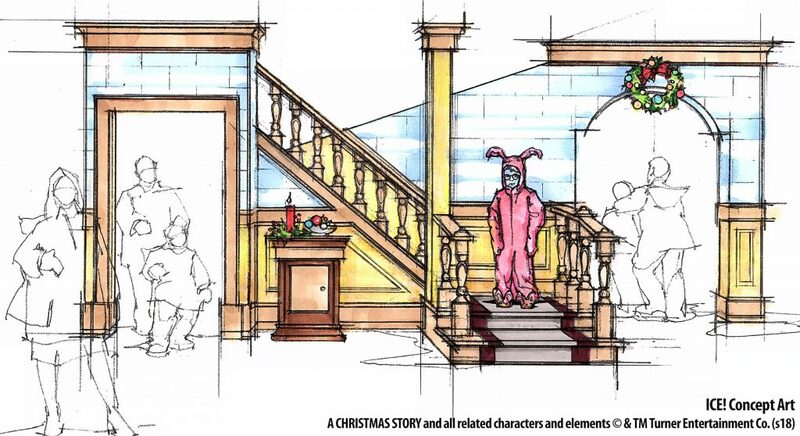 And the holiday theme this year is going to be A Christmas Story! For the first time ever at any Gaylord ICE! 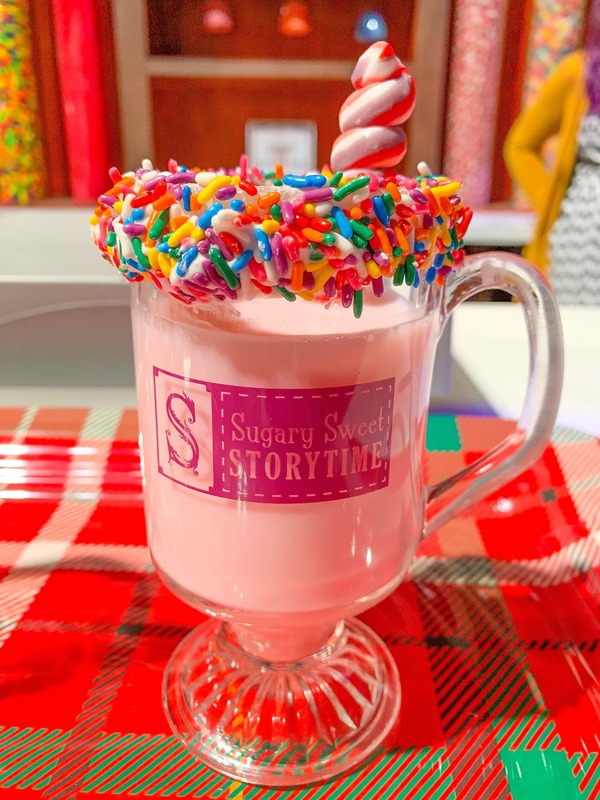 experience, the beloved holiday film “A Christmas Story” will be recreated as a frozen, immersive attraction inside ICE! 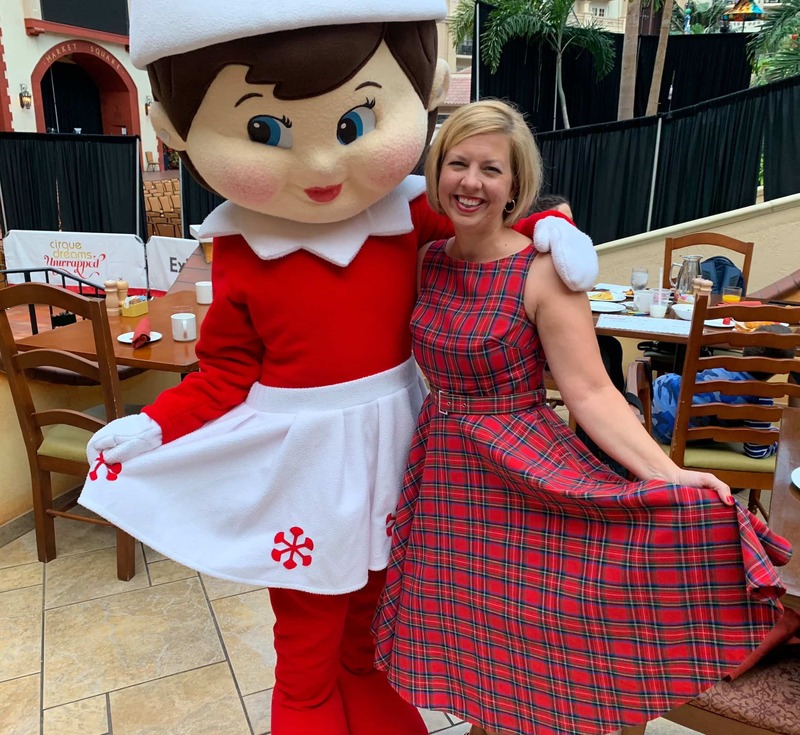 Christmas at Gaylord Palms is open daily from November 16, 2018 through January 6, 2019 including holidays. The chilly event in the otherwise warm weather of the Orlando area will be held for 52-days. 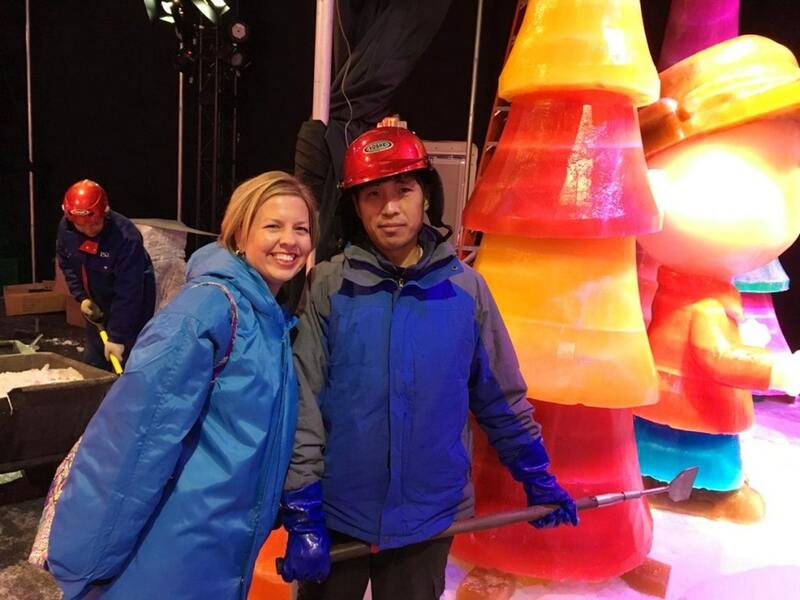 Just imagine – being in a 9 degree winter wonderland and thinking of getting your tongue stuck to the frozen flagpole! The ICE! 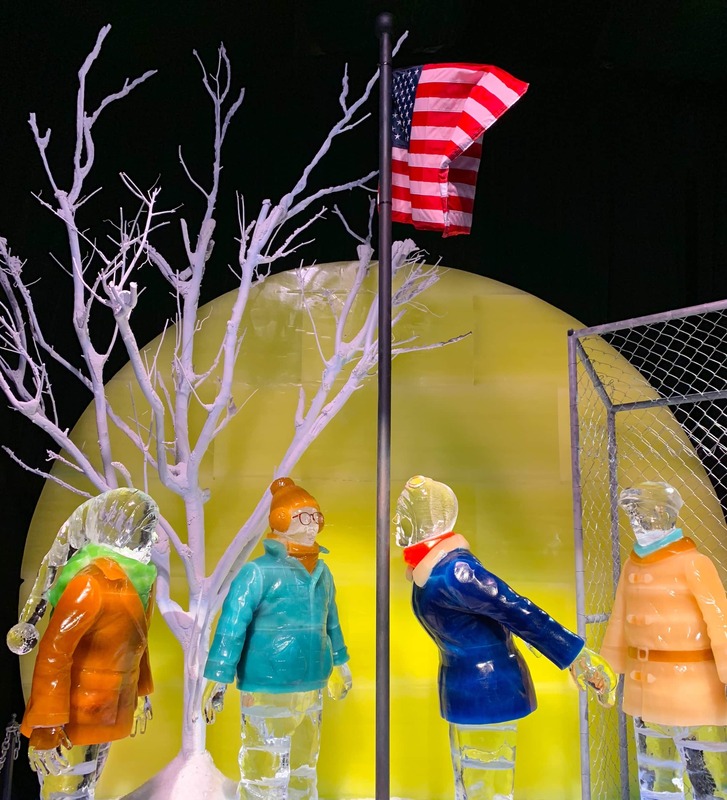 attraction is crafted by artisans from Harbin, China, home of the world’s largest ice and snow sculpture festival, who travel more than 6,000 miles to hand-carve more than two million pounds of colorful ice, creating larger-than-life sculptures. 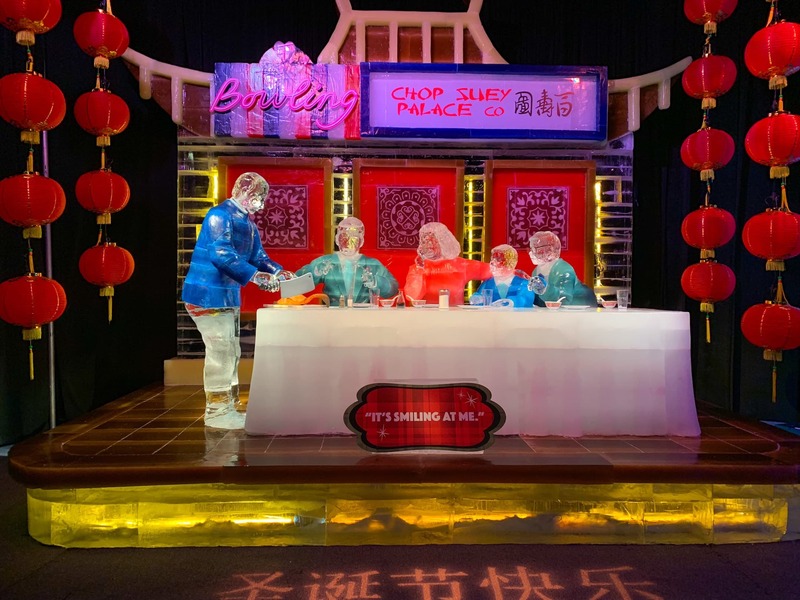 In addition to wandering among the classic scenes recreated in ice, there will also be the two-story ice slides and the popular Frostbite Factory live ice carving showcase. The ICE! 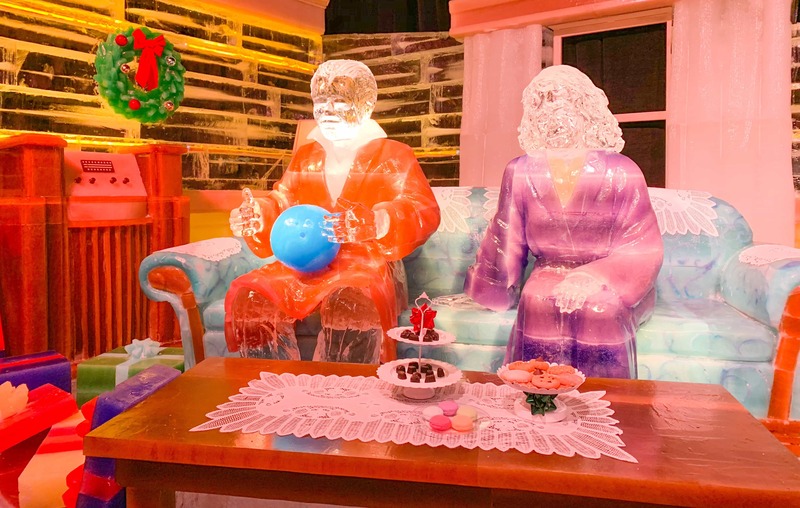 experience concludes with a separate area dedicated to a traditional Nativity created with crystal clear ice. This one is always our absolute favorite. 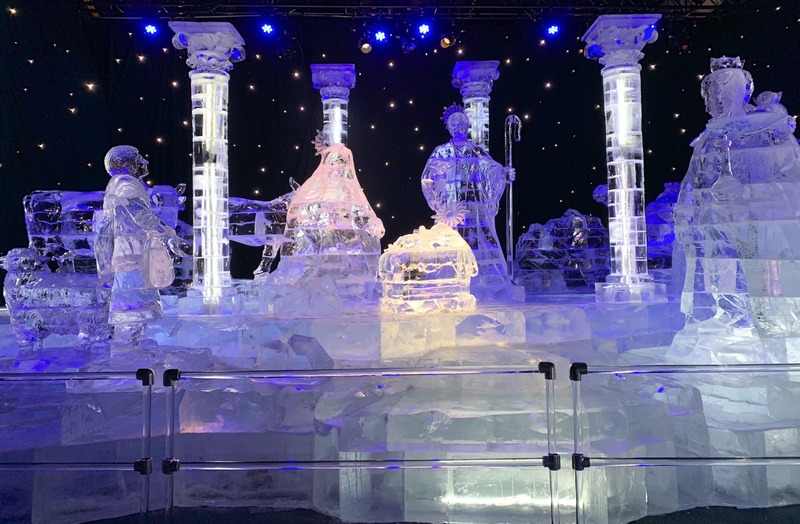 The stillness and calmness of the nativity carved out of pure, clear ice with hymns playing is a peaceful place to remember the true reason for the season. 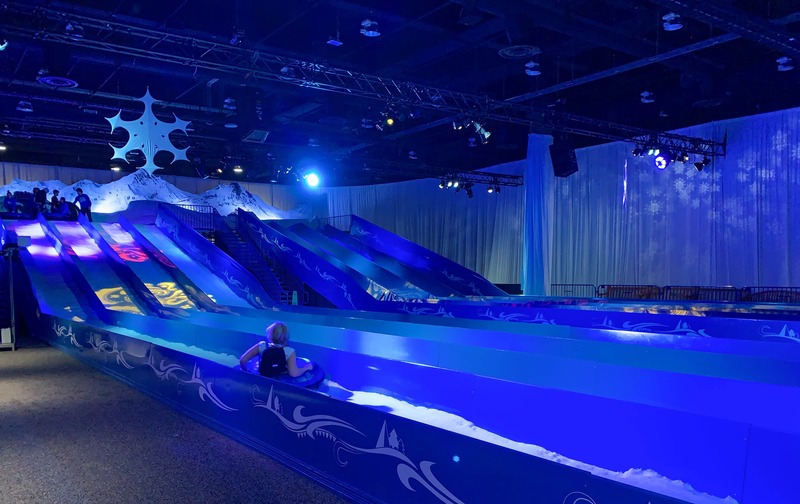 Each year, we always anticipate what new theme will be unveiled for ICE! at Gaylord Palms. But just as important as the theme of the ICE! experience are all of the other wonderful activities that make ICE! 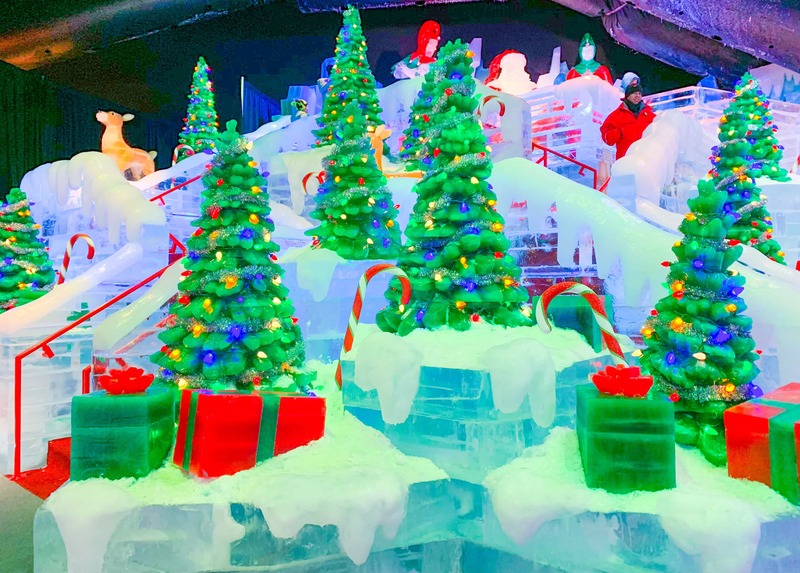 at Gaylord Palms more than just a couple hours visit, but an overnight visit to immerse yourself in the magic of Christmas. 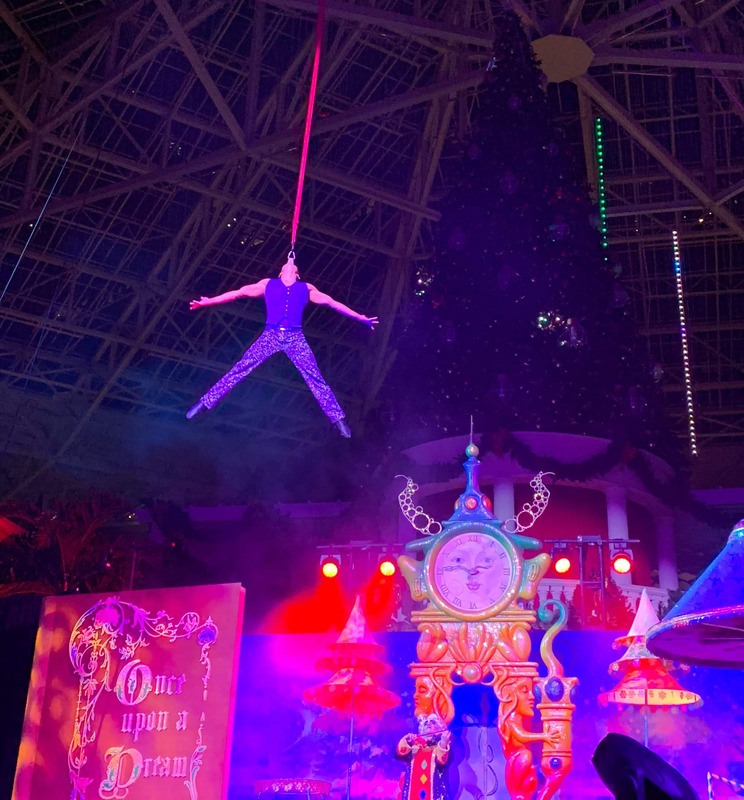 Cirque Dreams Unwrapped is a 25-minute, action-packed experience, featuring soaring acrobatics, theatricality and imagination that will have guests on the edge of their seats. It is a show like no other. 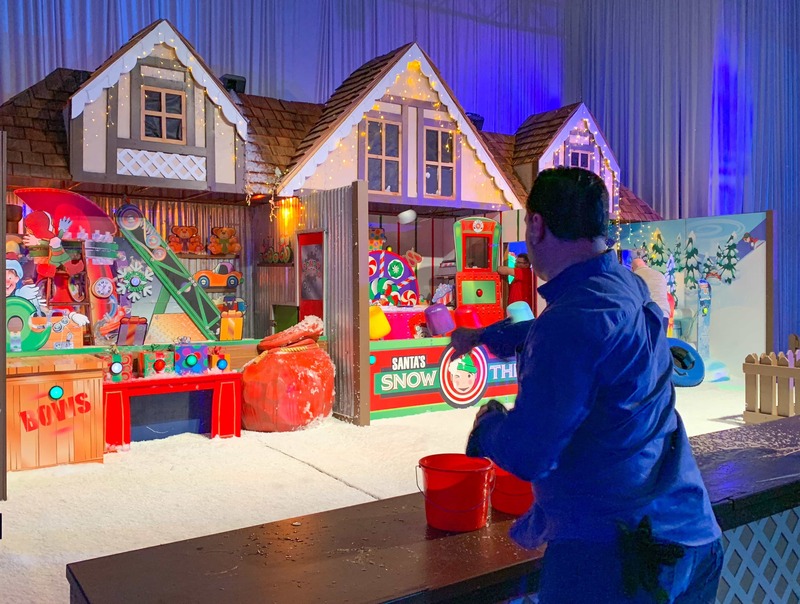 Cirque Dreams Unwrapped features new acts and performers each year to bring to life a magical and timeless Christmas wonderland, all imagined by Broadway director and renowned Cirque Dreams founder Neil Goldberg. This show will leave you spell bound. We have been amazed every year and just sit in the audience wondering how they are able to do what they do! The Christmas Tree Trail is a display of nine magnificent trees provided by Balsam Hill™. 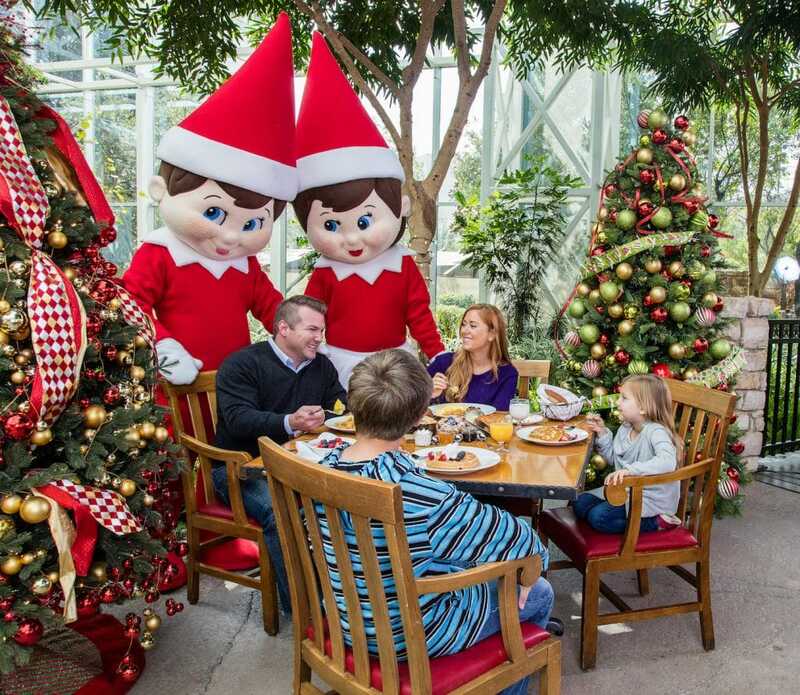 Sparkle the Elf, Santa’s chief Christmas Tree Decorator, has personally prepared these for display at Gaylord Palms. 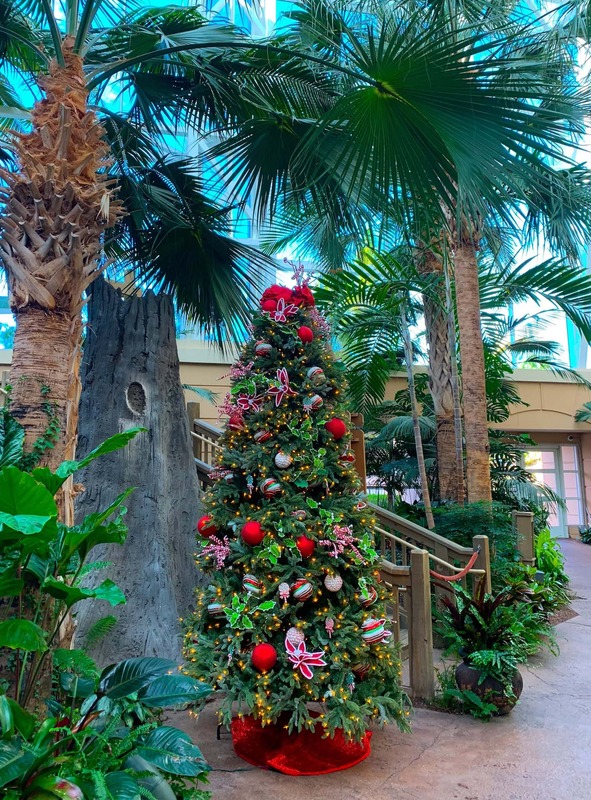 From snowmen and candy canes to reindeer and nutcrackers, each tree represents one of Sparkle’s favorite things about Christmas, with one even honoring the Florida-themed resort! 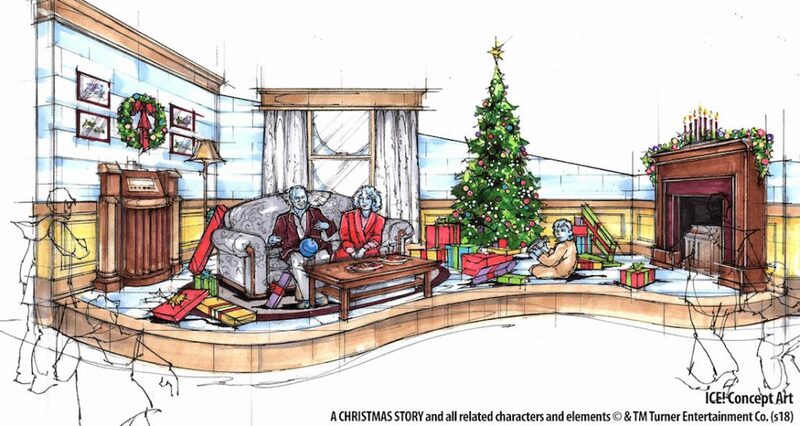 The interactive Reindeer Express Post Office returns this year, where everyone is invited to jot down their top Christmas wishes on a postcard before entering this special facility to launch their wishes off on a journey to Santa. 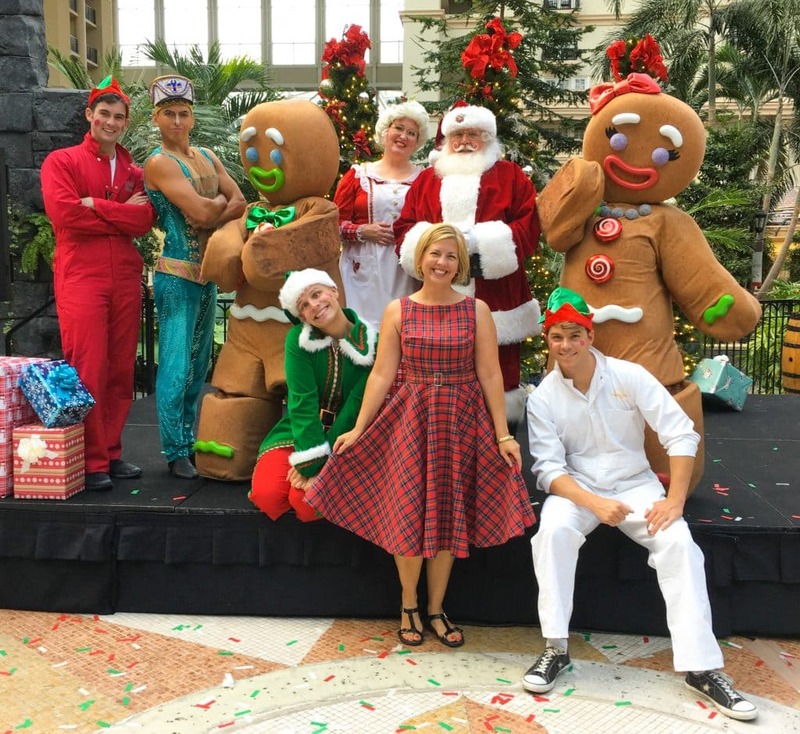 The best way to experience all of Christmas at Gaylord Palms is with an overnight stay. One-night packages start at $250 plus tax, resort fee and parking. Packages include ICE! tickets for two (with option to add additional adults or children) plus a souvenir family photo. Overnight guests may also schedule a visit to ICE! 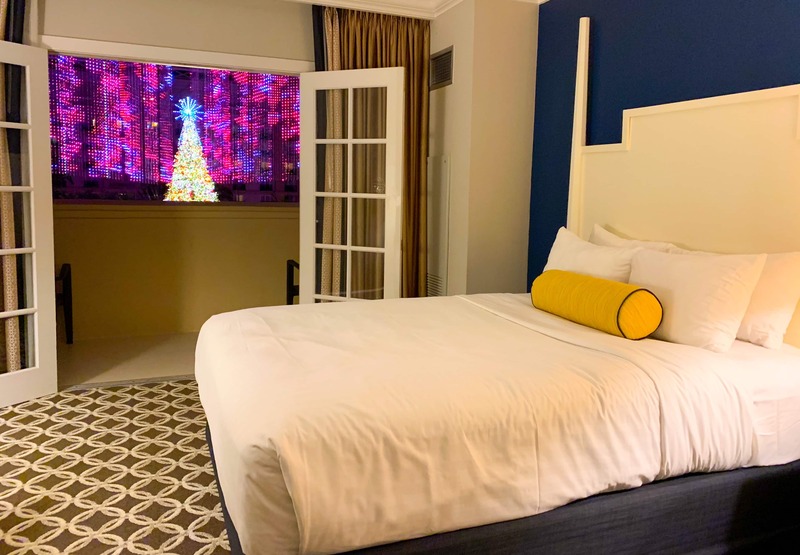 during the daily hotel guest-exclusive Extra Cool Hour from 9 a.m. to 10 a.m.
Make the holidays merrier and extend the package to stay for multiple nights! 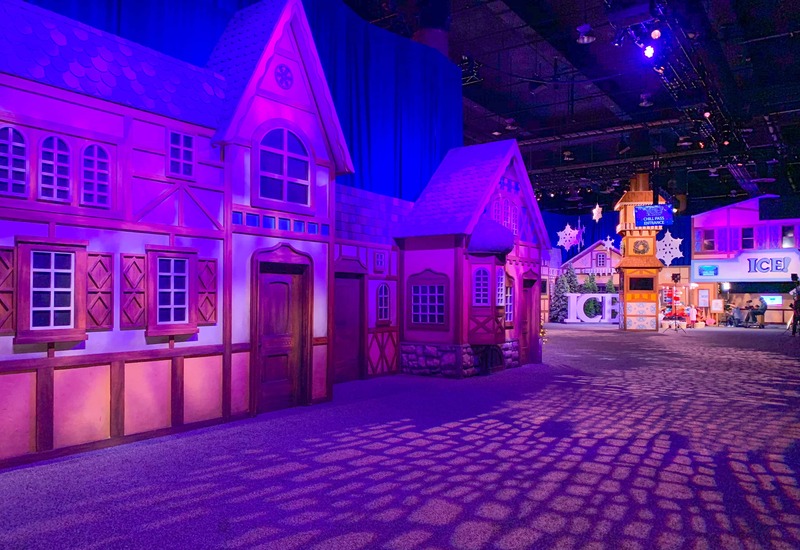 For additional information and to book packages or tickets, visit ChristmasAtGaylordPalms.com. P.S. The dress I’m wearing in photos is under $30 on Amazon!